the total scene: Chicago-based Studio Mangiameli celebrates fifth anniversary with "Love Song"
Chicago-based Studio Mangiameli celebrates fifth anniversary with "Love Song"
Chicago-based Studio Mangiameli will celebrate its fifth anniversary with "Love Song," a dance concert inspired by T. S. Eliot’s poem "The Love Song of J. Alfred Prufrock." The show will run May 13-15 at the Vittum Theater, 1012 N. Noble St., Chicago. Tickets are $25, $15 for ages 12 and under and seniors 65 and over. Tickets are available by going to the Vittum Theater's website, vittumtheater.org. I had the chance to talk to Studio Mangiameli founder Chiara Mangiameli about the show. Q - Great talking to you again. 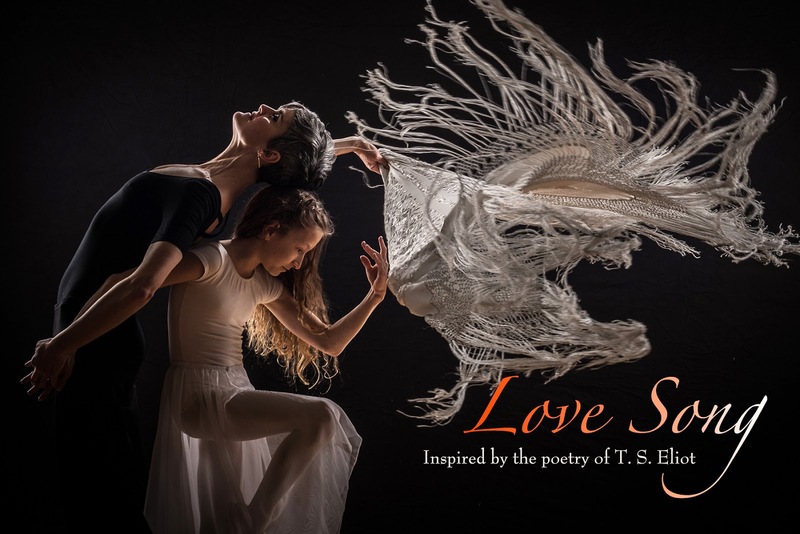 I understand "Love Song" is inspired by T.S. Eliot’s poem, "The Love Song of J. Alfred Prufrock." What does the poem say to you and how did it inspire you in putting on this production? Thank you for having me back on The Total Scene! In “Love Song For J. Alfred Prufrock,” the narrator invites the reader to take a walk through city streets and visit environments that are familiar to him. Soon, it becomes clear that the narrator sees himself as an outsider. He hesitates to get emotionally involved​ - he's indecisive and​ insecure about his place. The writing is very evocative​, and even though the poem was first published in 1915, the feelings of inadequacy and isolation it conveys are all too familiar. As a dancer approaching middle age, an immigrant, and an interpreter of a specific cultural art form that I was not born into, I often think about the idea of "self." What defines who you are? How do you reconcile who you were at different points in your life, with who you are now? Is it possible ​to ​become so fragmented and out of touch with ourselves and the world around us, that we lose our ability to embrace the world and everything in it? When do we stop taking risks, exposing ourselves to being truly vulnerable? These were some of the questions in my mind during the staging of this production and the decision to incorporate parts of the poem​​. 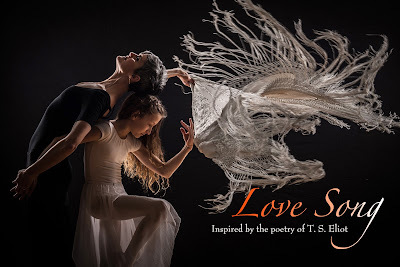 It's been remarkable watching 48 other dancers of varied experience embody some of these very questions through movement and their connection with the music. Q - I know that Paloma Gómez has been working with you on the show. What do you think she brings to the table? Ms. Gómez choreographed three short pieces for the show: one for the large ensemble and two solo themes. In addition to her extensive knowledge and experience in the style of "Clásico Español," or Spanish Classical style featuring castanets, she also possesses a great sensibility about movement and its power to communicate. Being tall and long limbed, I've often struggled with what I perceive to be awkwardness in my gestures. Paloma has helped me and many of my students "own" our bodies with greater range, efficiency, elegance and emotional life. Q - Studio Mangiameli’s children’s group, Flamenco Kids, also are part of the show. Was it important to have the group part of the show, especially because it is your fifth anniversary concert? In working with kids, what do you try to teach them? I'm thrilled to have these little girls on stage! And yes, it was very important to have them participate, not only because the performance is a great motivation tool for them, but because they literally embody a promise for the future. I try to teach them that music and movement are tools for storytelling, that in just one or two dance steps​ you can be strong and fierce and graceful and that dance has all of that and more! Little kids do much better than adults in living in the present, but they have to be reminded to redirect their focus so they can perform this step and the other and change directions, etc. We spend a lifetime doing that.... dance is a great metaphor for learning to adapt. Q - You founded Studio Mangiameli in 2011. In starting the dance studio, what were your goals and do you think you accomplished them? I think I started off simply wanting to have a place in which I could develop, process and share all the information I'd been absorbing on my trips to Spain, without the limitations imposed by hourly rental at different studios. ​I always knew I wanted to present a wide range of flamenco and Spanish Dance from the use of "props," such as bata de cola, fans and shawls, to the more Clásico style and use of castanets. ​Like many things in life, goals define themselves more clearly with time and experience. ​I've noticed, for example,​ that so much of flamenco has become a kind of sport, a display of the individual's tremendous technique, speed, power and stamina. I think that women in particular have suffered from this trend and have in some ways lost ​their ability to connect with the audience. I'm interested in how we can recover our ability to be sensual and vulnerable in a world that is constantly telling us to conform and live within the confines of labels. I recently changed my logo from "Studio Mangiameli Flamenco" to "Studio Mangiameli Dance," simply out of a need to recognize that we so often get caught up in the superficial aesthetic of styles, that we lose track of the bigger picture: dance of any kind, origin and culture, as an instrument of personal discovery and change. I would say every day I get a little closer to communicating this goal, but I expect it will be a very long journey. Q - Do you have any dream projects for the studio? This year we have been invited to perform in The Albuquerque International Flamenco Festival as part of their opening day celebration. I'm thrilled to be participating along with several of my advanced students, and honored to receive this kind of recognition of the work we're doing at the studio. One of my dreams has always been to travel and represent the studio outside of Chicago, and this definitely fulfills that!